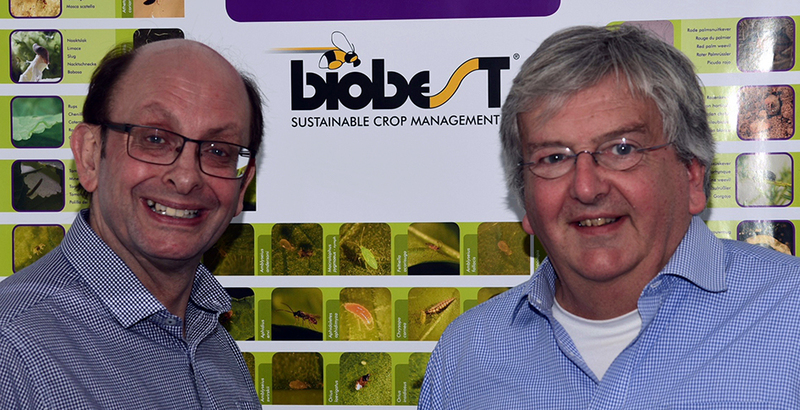 Biobest UK’s General Manager Phil Walker, a leading figure in the UK biological control industry for some 40 years, is retiring and handing over the reins to another industry stalwart Simon Jones. On completing his three-year contract helping establish Biobest UK, and having reached 65, Phil is retiring. Biobest UK’s new General Manager, Simon Jones, recently joined from Certis Europe – where he was UK Development and Stewardship Manager. Simon began his career at BCP in 1989 where he went on to manage the highly successful UK technical sales team that worked closely with Biobest.